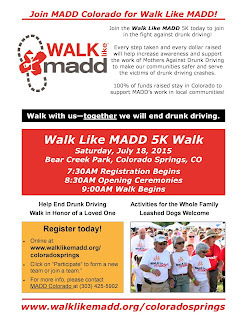 Colorado Young Drivers Alliance: Join MADD Colorado for Walk Like MADD! 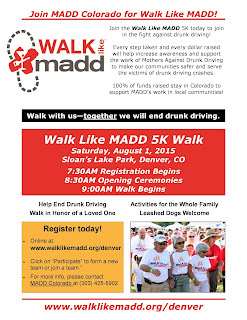 Join MADD Colorado for Walk Like MADD! Every step taken and every dollar raised will help increase awareness and support the work of Mothers Against Drunk Driving to make our communities safer and serve the victims of drunk driving crashes. 100% of funds raised stay in Colorado to support MADD’s work in local communities.